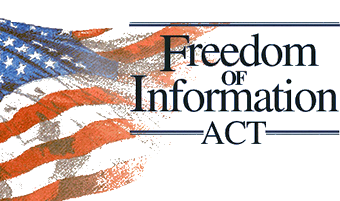 The House of Representatives is expected to approve a new package of amendments to the Freedom of Information Act this week, in a bill known as the FOIA Oversight and Implementation Act of 2015. The bill would codify a presumption of openness, limit the application of the exemption for deliberative records, facilitate electronic submission of FOIA requests, strengthen the Office of Government Information Services (the FOIA ombudsman), mandate Inspector General reviews of FOIA processing, and several other steps. Detailed justification for the bill is provided in a January 7 report from the House Committee on Oversight and Government Reform. The bill was subsequently modified by the House Intelligence Committee to affirm that its provisions would not require the disclosure of properly classified information or of information that “would adversely affect intelligence sources and methods” that are protected. The term “adversely affect” is not defined but is clearly intended to limit disclosure.